Survivor or Overcomer? The Choice is Yours. Years ago I used to watch a television show called Survivor. I’m sure most of us are familiar with the premise of it. A group of strangers was taken to a remote location, given very limited provisions, and a predetermined length of time to figure out how to survive. Though we may not be faced with those types of challenges on a daily basis, many live in what I call survivor mode. We go through life reacting to difficult circumstances, trying to make it through each day. For some it means making it from paycheck to paycheck. Others may be enduring from one treatment to the next. It could be attempting to cope with multiple bad relationships. Generally speaking, challenges turn into crises and life becomes a battle we hope to withstand. Somehow that doesn’t sound to me like the abundant life Jesus promised He came to give us. The difference between a survivor and an overcomer is in what they believe. The good news is, we get to choose what we believe! No one else can do it for us. We are not victims of our circumstances, unless we choose to be. God gave us free choice, and He will always honor whatever choice we make, good or bad. If you’ve been living in survivor mode, ask yourself these questions: Do I want to be a victim? Can I control this situation (whatever you’re facing right now)? Will I decide to react to it, based on how I feel? Will I choose to respond to it, believing God will bring good from it? Can I choose to trust God will walk with me through this? Remember, reactions are always rooted in the flesh; responses are rooted in the Spirit. When we react to something, it comes from our feelings, which is part of our soul. We react in fear, worry, dread, anger, despair, etc. If we train ourselves to stop and think for a moment, we are more apt to respond than react. Responses are easier if we’ll immediately focus on God rather than how we feel. We must pause and ask ourselves, is He with me right now? Does He know what is happening? Does He know and care how I feel? Is He still in control? Can I trust His goodness in spite of this pain? These and similar questions will help us to quiet our soul and choose to trust Him. Jesus has made it possible for us to overcome even the most difficult situations, for He overcame them all, including death and hell. He calls us overcomers, more than conquerors, and we can be, if we choose to see ourselves as such. We must take Him at His word, and trust His grace to enable us in our weakness. We don’t have to live in survivor mode any longer. Overcoming life is abundant life; the life He makes available to all who choose to receive it. We honor and glorify Him when we decide to use to the fullest this amazing grace! Posted on May 15, 2016 November 10, 2016 Categories Christian lifeTags beliefs, grace, overcome, overcomers, react, respond, survivors, trustLeave a comment on Survivor or Overcomer? The Choice is Yours. No one is immune to temptation. It is familiar to us all. It entered the human experience at the beginning of time and is one of the three most common ways the enemy attacks us. The Scriptures give many examples of the temptations of the saints and provide wisdom to help us if we will heed it. The first instance is found in Genesis 3, the story of the fall of man. No doubt, we are all familiar with the details, however; there are a couple of things I want to point out. 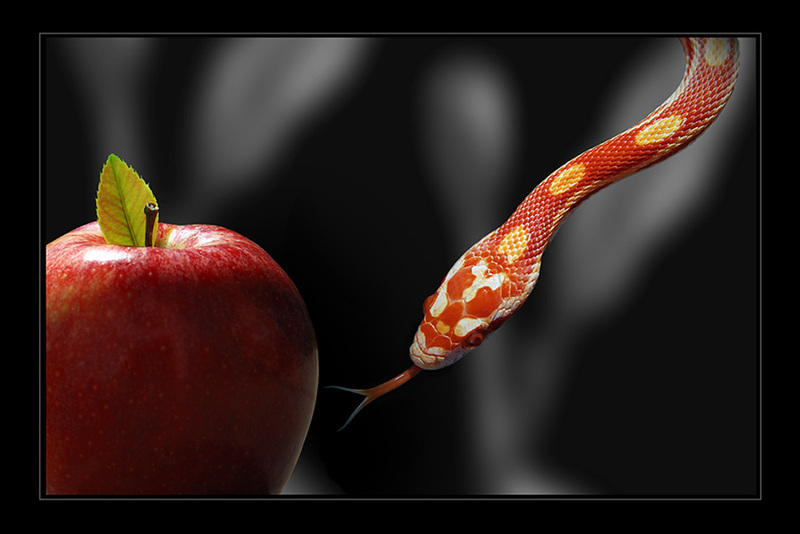 First, the enemy lies to Adam and Eve, telling them that God has lied to, and withheld something valuable from them. (v. 4-5) At that moment, a seed of doubt was sown into their minds about the trustworthiness of their Creator. This seed of doubt, this thought, was the impetus for the temptation. Jesus was tempted in the same ways during His time in the wilderness. (Matthew 4:1-11) We, too, have been or will be, tempted in these areas. It is not a sin to be tempted; it is a part of life in this fallen world and will be until Jesus returns. Many years ago, a former pastor said to me, “Temptation is about fulfilling a legitimate, God-given need, in an illegitimate way.” God has given us valid needs and desires that we cannot deny. He has promised to meet every need and longing of our heart when we seek Him first. Our part is to trust Him. Every temptation we face is another opportunity to trust Him. When those seeds of doubt come and the devil whispers in our ear, “Did God really say…?” we must keep our eyes fixed on Him and remember, “For we do not have a high priest who is unable to empathize with our weaknesses, but we have one who has been tempted in every way, just as we are—yet He did not sin.” (Heb. 4:15) The One who overcame all temptation lives within us that we also might overcome!